Every day we have some new information about the much-awaited flagship from Apple, in the form of leaks or patent. Today in this article we are bringing you the 4 great features of iPhone 8, they are expected to come in the tenth edition of iPhone. It is anticipated that the next iPhone will have an edge-to-edge screen with curved edges. Apple will reduce the size of the bevels around the screen to allow for a bigger screen. In other words, Apple will be able to fit an iPhone 7 Plus-sized screen on an iPhone 7-sized body. Furthermore, it is believed that Apple will deviate from the use of its traditional LCD screens and install the latest OLED technology on its new smartphone. There are reports that Apple is considering adding augmented reality functionality as part of the new iPhone’s default offering. This rumor is believed to have some substance because the Apple CEO has made it known that he is enamored with the technology that makes augmented reality possible. 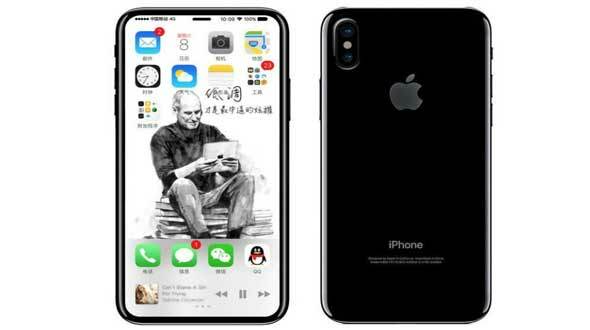 Leaked photos of potential iPhone 8 developmental units show that Apple is changing the design of the back of the iPhone. Allegedly the iPhone 7 Plus the dual-lens design is back; however, the camera lenses are installed vertically instead of horizontally. Judging by the bio-recognition patents that Apple has applied for, we believe it is leaning toward facial recognition technology rather than iris recognition. However, we note that the technical challenges of facial recognition include: (1) algorithms; (2) hardware design; and (3) the build-out of a database for verification and authentication, which could be time-consuming. As such, before Apple can fully replace the fingerprint system with facial recognition, a combination of the two steps of bio-recognition could be a valid solution for enhancing transactions security. While it’s unlikely that Touch ID will go anywhere anytime soon, the addition of facial recognition would add yet another layer of security to the iPhone.